Krista Comer is a Professor of English at Rice University. She is also an Affiliated Scholar of Stanford’s Lane Center for the American West, contributing research to the California Coastal Commission Project. 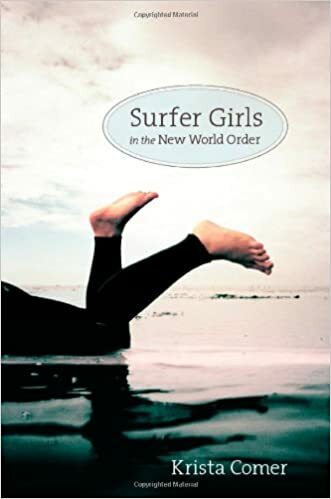 She is author of Surfer Girls in the New World Order, and is at work presently on Surfeminisms in an Era of Trump. Comer writes both “traditional” scholarship as well as, in recent years, more “public-facing” scholarship – meaning work designed for a broad audience and dedicated to social action. In 2014, Professor Comer co-founded the Institute for Women Surfers, a grassroots educational initiative in the Public Humanities. IWS brings together activist women surfers and their allies to create spaces of peer teaching, learning, and mutual aid. Professor Comer directs the Institute, advised closely by a Steering Committee. In 2019, IWS Oceania will conduct its first meeting in Melbourne (Australia) in collaboration with Lisa Hunter and Monash University. The Center for Surf Research is stoked to welcome Krista as a keynote speaker at the Impact Zones and Liminal Spaces Conference April 26th-28th. More than 80 speakers from 15 countries will be attending. Students and the public are welcome to attend for free. See there conference program here. Surfer Girls in the New World Order. Next PostTina Nguyen to report on Cape Town’s surfing economy at SDSU surf conference April 26-28.